If you’re remodeling a bathroom, your clients definitely need a toilet. But do you know which toilets are available and what will be best for homeowners? Bathroom design often revolves around creating a soothing space for homeowners to get ready for their day. Some award-winning bathrooms are praised for their spa-like qualities. Others are lauded for capturing the look and feel of a surrounding historic structure while incorporating modern conveniences. No matter the style, bathrooms have at least one thing in common: the toilet. Toilets are the ever-important, but oft-ignored, bathroom piece when it comes to discussing trendy bathroom design. In addition to their obvious function, they can provide homeowners with a greener home. According to the National Kitchen and Bath Association’s 2018 Design Trends Study, 64% of respondents said that low-flow toilets were trending for sustainable bathroom products. So, other than making sure the toilet takes care of their business and uses less water, what are homeowners looking for in a toilet? REMODELING spoke with Kevin McJoynt, Gerber’s vice president of marketing, and James Walsh, vice president of chinaware and commercial products at American Standard, for details. Remodeling: What is currently trending in toilet design? Kevin McJoynt (KM): Everyone likes clean bathrooms, of course, [and] clean has become a driver in toilet design. Concealed trapway (CT) toilets and one-piece configurations are both popular right now. Concealed trapways provide a fully skirted look to the base of the toilet, giving it a smoother and cleaner look while also being easier to clean. One-piece toilets have similar benefits. The tank and bowl are constructed as one complete piece, eliminating the seams or gaps that typically exist between the tank and the bowl. Again, it adds a higher design element and is easier to clean. And finally, there are models that have both one-piece construction and a concealed trapway. James Walsh (JW): I think what we refer to as “right height,” which is the higher bowl height, is popular. Sometimes it’ll be referred to as ADA height or chair height. It’s 16.5 inches, roughly, and once you add a seat, it brings it to the 17-inch threshold that meets the ADA requirement. This height makes it easier to get on and off the toilet itself. 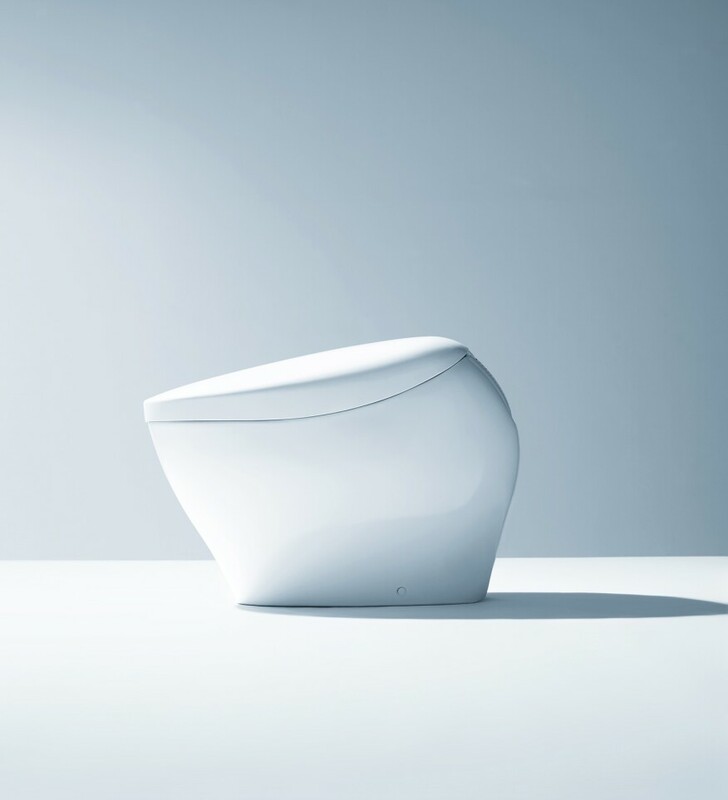 We’re also seeing more elongated bowls and a trend toward cleanability of the toilet itself. What are homeowners looking for in a new toilet when remodeling their bathrooms? KM: Homeowners focus on two things when they’re selecting a new toilet. The first is performance. It has to function at a high level. They don’t want to think about a toilet that doesn’t flush well. In fact, they shouldn’t have to even think about their toilet—at all! The second is style and design. More homeowners and remodelers are appreciating that even a toilet can and should be stylish. A lot of work goes into selecting the right tile, cabinetry, shower elements, and so on. Why wouldn’t the toilet fall in line with the décor and look great? JW: They’re looking for a toilet that is going to work and do its primary function, which is to remove bulk and keep the bowl clean. They’re looking for a bowl that doesn’t stain. They don’t want [the bowl] to be dirty or to have a toilet that doesn’t clear and clean the bowl when they use it, especially if they have guests over. They’re looking for clean lines and easy maintenance of the product itself. 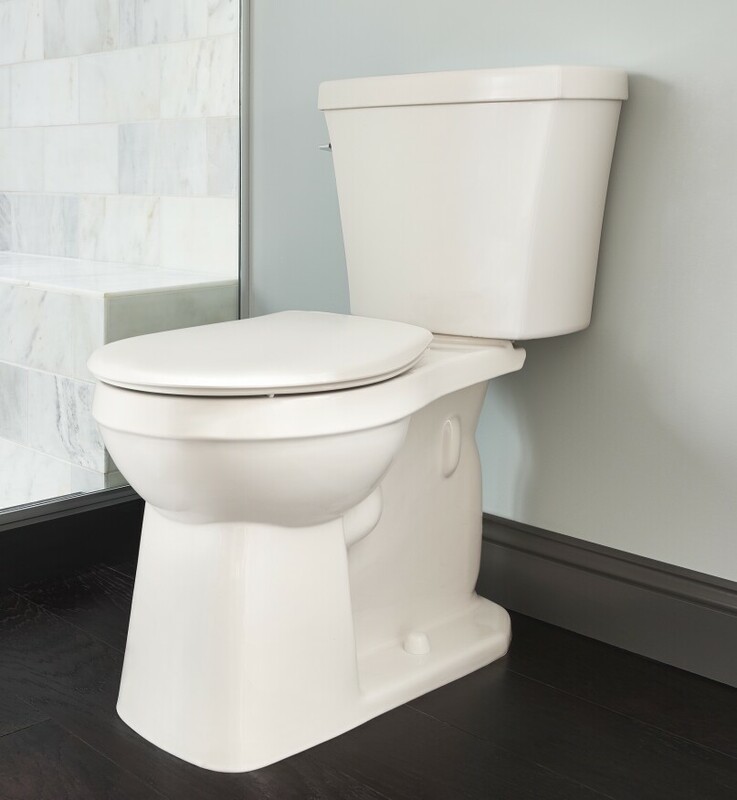 What should homeowners be looking for when buying a new toilet? JW: I would look at how the toilet is rated against bulk removal. There are tests out there called MaP, which is Maximum Performance, that tests for minimum performance criteria. They should also be interested in the cleanability of the bowl, which is rim wash. I would highly recommend looking at water-saving toilets that are WaterSense certified. WaterSense is the EPA’s version of Energy Star. They should look at warranties as well. What is the difference between a one-piece toilet and a two-piece toilet? What are the advantages and disadvantages? KM: A two-piece toilet is constructed in two pieces: a tank and a bowl. The tank is then assembled onto the bowl during installation. 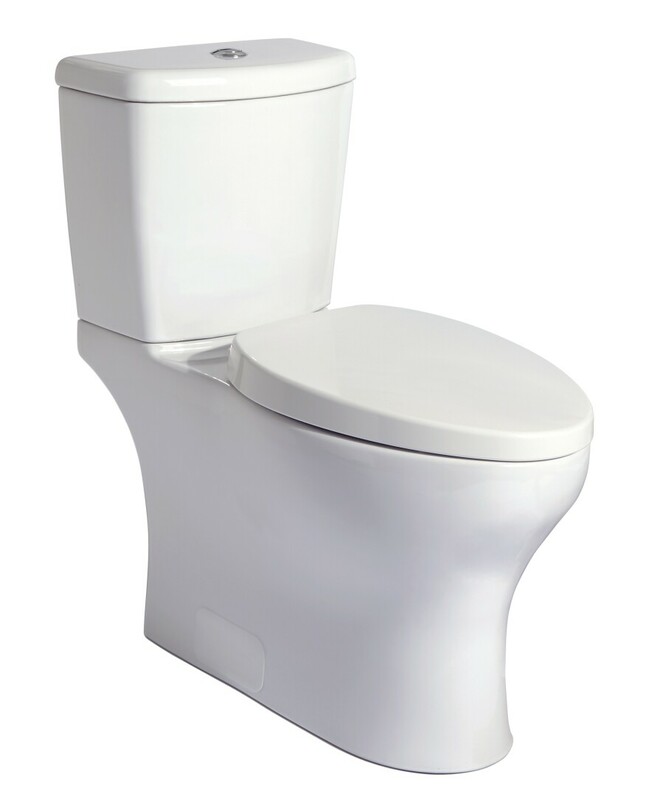 A one-piece toilet is constructed as one piece where all elements are built together. One-piece toilets definitely have the advantage of being easy to clean (no gap between the tank and the bowl). They can also look a little sleeker in design. They are usually more expensive than two-piece models, as they are more difficult to make, ship, and install. Both configurations have advantages and disadvantages during installation. We often hear that some fully skirted CTs can be a challenge to install due to access to mounting hardware and potential interference with the supply valve in the wall. What is some of the latest technology in toilets? KM: Water savings continues to be an important aspect of toilets. Today’s toilets typically use less than half the water used only 20 years ago. To earn EPA WaterSense certification, manufacturers are required to pass stringent performance criteria to demonstrate strong function in addition to lower water usage. JW: We’re seeing things like touchless toilets. Some people are pushing the limits for water saving, but we want to make sure we’re not having the performance suffer if we go down in water consumption. We’re looking at bulk removal, rim wash, and more important to the plumber, drain line carry. What we don’t want to do is repeat the sins of the past when in the ’90s the government dictated we reduce from 3.5 gallons per flush (gpf) to 1.6 gpf. Those early water-saving toilets weren’t good toilets. Now, the technology has caught up to it and the manufacturers have been able to produce products that are even better flushing than when we got to use 3.5 gallons. 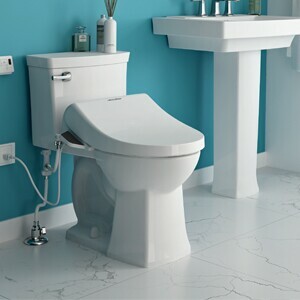 American StandardAmerican Standard’s new Advanced Clean SpaLet bidet seat lets users set their own pressure, temperature, and seat-heating preferences to customize their experience. Bidets aren’t all that common in American households, but the benefits of that little spray are many. 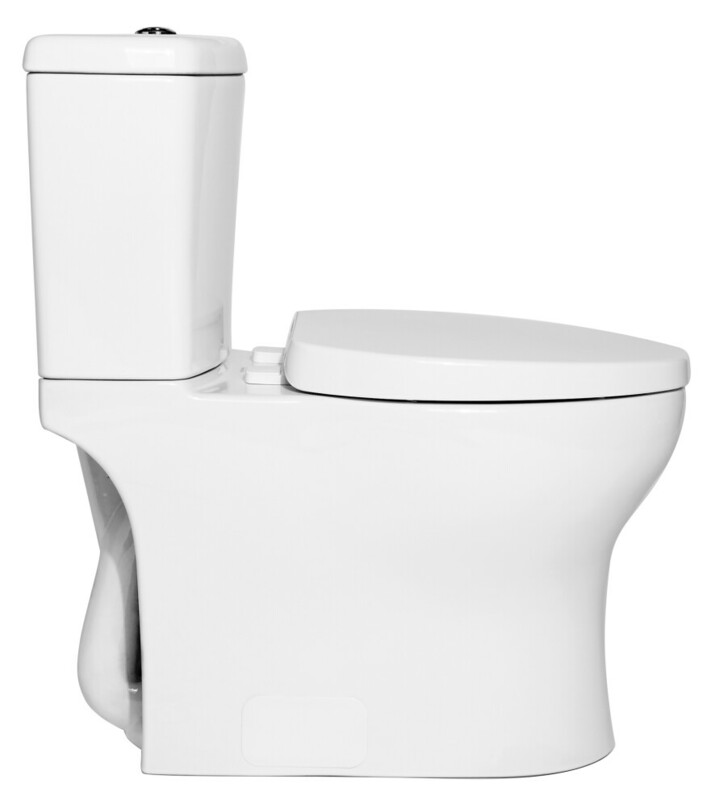 Some bidet seats, including American Standard’s SpaLet seat, allow users to customize options like spray intensity and temperature from a side-mounted control panel or a remote. Bidets can benefit children, American Standard’s James Walsh says, especially those who are learning how to use a toilet. “It’s easier to keep them clean,” Walsh adds. “It fosters an awareness for the benefits of cleanliness.” And for those worried about using a bidet seat for the kiddos, don’t. Walsh says that the controls are relatively straightforward and easy to use. Bidets and a combo toilet/bidet, such as American Standard’s SpaLet seat, benefit seniors as well.